Time to shoot through the galaxy and play with the most beautiful stars in the universe! Here you can win big with a series of bonus rounds and features. Gaze out of the starlit galaxy where blue, red, purple, and green stars will land on the 5 reels and 10 paylines to form winning combinations. Bets range from 0.01 to 20 coins, simply place your bet and start spinning! 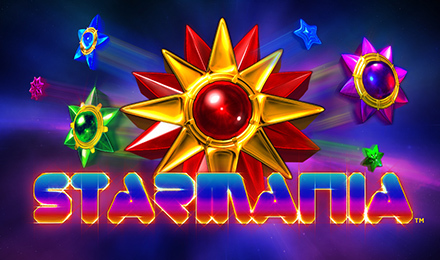 While playing the game, you can trigger the Wild Star Bonus, Free Games or Gamble Feature. Where each feature is rewarding in its own way! The Bonus symbol of the game serves as a multiplier which goes up to 200x and it also triggers the Free Games feature. Where upon triggering, you’ll be awarded with 10 free spins to play.